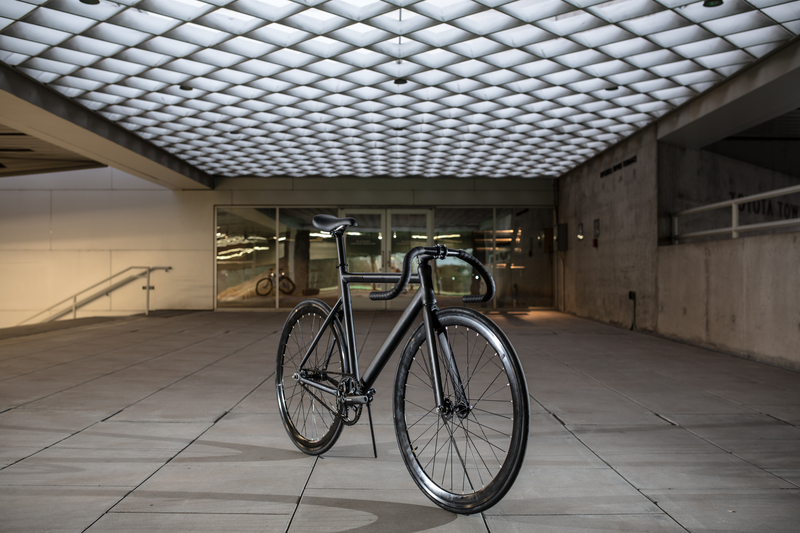 Very little can compete with the thrills and utter terror felt when hacking down a steep decline on a fixed-gear bicycle. Legs spinning at a dangerous rpm, bars twitching with every imperfection in the road and glutes burning as you attempt to bring the damn thing to a halt. 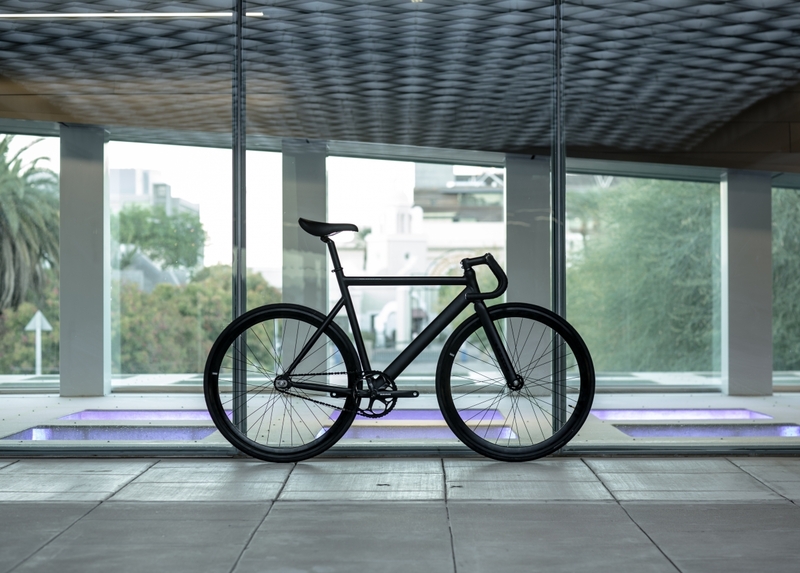 On the plus side, they look the business and this jet-black offering from US upstarts State Bicycles is a fine example of just how purposeful a fixie can look with a little imagination and some solid design. 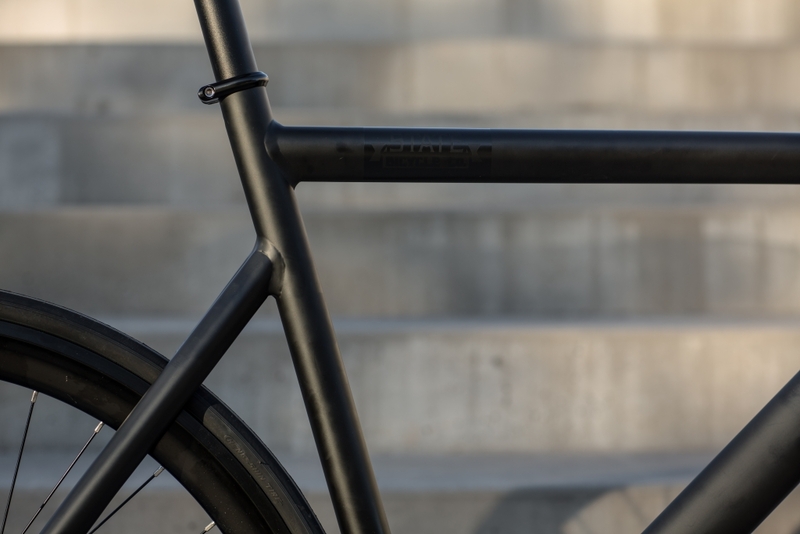 Featuring a lightweight aluminium, double-butted frame, a 43mm deep-v wheelset, full carbon front fork and powerful SRAM S100 Track Crank, this limited 6061 Black Label Series might just be one of the most menacing things with a Flip-Flop hub. 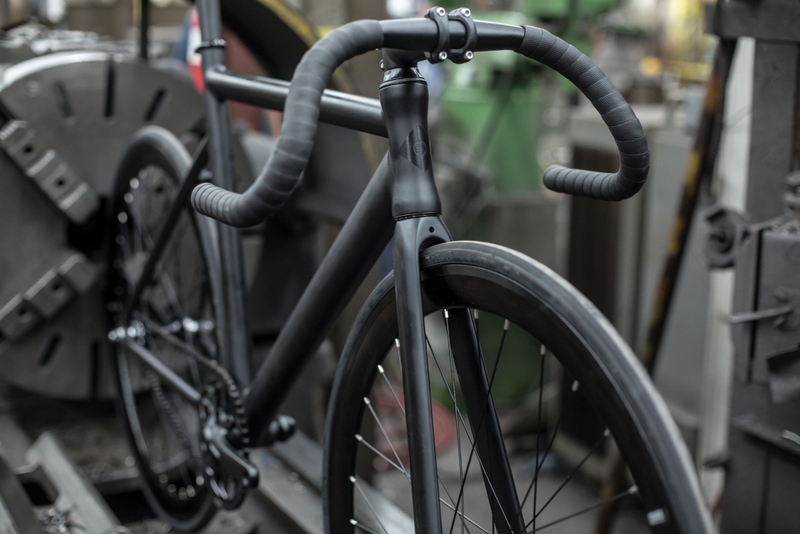 It’s stiff, fast, light and majorly aero, with the choice of various bar designs that range from fairly relaxed bullhorns to full fat velodrome conquering moustache drop bars – not for the weak spined. Prices start at £669, with the option to upgrade rims, bars and saddle if you’re thinking of competing, but this bike feels just at home prowling the inner-city streets as it does dominating the keirin.